The slide in the US dollar against the single currency helped accentuate the price of gold, which drew in bargain hunters as they transferred their cash in to high yielding assets. One thing that could have been playing on trader's minds was the fact that this bout of extra funds could actually be seen as disguised monetary easing, meaning future inflation. We all know what investors believe is the best hedge against inflation when interest rates are low. All in all, the yellow brick added $19 to its price, closing at $1744.7 and, at time of writing, investors seem to be taking a breather, with the commodity down a tad at $1739.3. As with gold, the energy sector had its fair share of overexcited buyers yesterday, as traders revelled in the news from the EU leaders meeting. The fact that equity markets were flying and the dollar was slumping helped the crude oil CFDs market rally. To add to the good vibe, the decent US GDP figure punctuated the rise in crude oil given the bigger oil consumption. As the trading day came to a close, Brent was trading at $112.19 and at the time of writing has received a small chip off the top, as it trades at $111.71. After gold's surge on Tuesday, the bulls couldn't follow things through in yesterday's session as we traded sideways for the session and that's continued into today's trade. The precious metal is at $1715 this morning and looking a little directionless at the moment. The bulls are finding little reason to try and push the price higher and many gold traders seem to have been left scratching their heads following yesterday's summit. Gold saw a huge jump yesterday as investors sought the precious metal as a safe haven ahead of today's summit. The weak consumer confidence numbers from the US were also seen as a driving force behind the surge. The rally of 2.5% puts the bulls back in control of the yellow brick and this morning that buying momentum is continuing as we're another $12 towards the heavens at $1712. Key levels to watch for the gold CFDs market now are $1690/72/59 to the downside and $1725/30 to the upside. The tables have turned for the gold spread trading market. Now optimism over the European debt tragedy seems to be a key driver for the precious metal, unlike previous months where pessimism had been causing investors to use gold as a hedge. Market participants also saw the usual suspects help gold increase, with a weaker dollar making the commodity more appealing. In addition, the seasonal benefit of the wedding months in India meant that demand for physical gold was high as the yellow metal is a favourite gift. All in all, gold finished the day up $12, ending the day at $1652.6 and at time of writing we haven't seen substantial direction added, as it trades at $1654.7. As the gap between supply and demand narrowed for crude oil yesterday, traders piled in to the liquid stuff. The weaker US dollar and higher equity market were also both working hard to help push the energy sector higher. Yet another boost was given by estimates that China's growth remains resilient and Japan's economy is recovering fast after the devastating earthquake and tsunami, meaning that demand for the liquid stuff is still strong. Brent is a few cents higher at $111.55 at the time of writing. The three consecutive sessions of losses on the gold CFD trading market came to an end on Friday, as investors closed their short positions ahead of the EU summit on the weekend. Other contributors to the rally were the weaker US currency and general market optimism regarding a resolution over the EU bailout fund which would recapitalize the banking system and prevent the Greek crisis from spreading any further. All in all, the precious metal gained $31 to end at $1640.5 and this rally has been added to this morning as gold trades at $1651.7. It is, however, still locked in the sideways range of $1600.0 - $1675.0. The crude oil market was given a boost by the general optimism across the markets on Friday. Investors considered that if EU officials do agree a solution for the bailout fund, then this will also safeguard a few other Eurozone members holding Greek bonds and therefore maintain demand for the black stuff. As well as this, the weaker US dollar and higher equity markets are offering good support and at time of writing, Brent crude is up at $110.56. 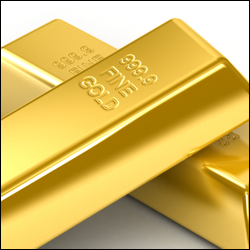 Even though the dollar is a little stronger this morning, the gold CFDs market is higher by 60 cents to $1625. Yesterday gold had another look at $1600 but has found some support from the bulls. Here is a market that has seen such substantial gains in the past few years, but since margins were hiked by the exchanges, the momentum seems to have come to an end. The sideways move over the past month doesn't look vastly encouraging for the longer term prospects of gold's bull market. However, I seem to remember people have said similar things in the past and then the metal shot off higher again. The disappointing diagnosis on the state of the US economy helped weigh on global equity markets, which meant gold's losses were extended for the third day in a row. It shows that risk adverse CFDs investors are still keeping a wide berth from the yellow brick and have surely dumped its safe haven status in the trash. By the end of the trading session, the precious metal had $11 wiped off its value, pricing it at $1643.1. At time of writing, it's looking like we could be in for a fourth loss filled session, as the yellow metal is down to $1610. The drop in crude stocks of 4.7 million barrels, released by the US Department of Energy in the weekly oil inventory report helped push crude prices up yesterday, but not for long. The pessimistic view on the soon-to-be-released Beige Book report had more power over investors and this caused a sharp decline in black gold's price. At time of writing, the Brent crude oil is trading at $108.11. Gold's decline was far from coming to an end yesterday, as the commodity market was mainly dragged down by concerns on the Chinese economic growth outlook. It seems that investors have changed the way they regard gold, whether this is just for the short term or not, and are not using the precious metal as a safety haven during these turbulent times. At the end of the session, gold had shaved off $16 and sat at $1654.2 after hitting an intraday low of $1626.4. At time of writing, it looks as though we could be in for a repeat today, as the yellow brick is down at $1649.2. You would have thought that as China, the world's largest crude oil consumer, reported a slowdown in economic growth, this would instate fear around the demand for crude. However, did not seem to be the case in yesterday's session, as somehow the black gold edged higher. It also brushed off negative news attached to the European debt problems and followed in the direction of the stock markets, which lately have been acting as a good indicator for economic sentiment. This morning Brent is at $111.29. Gold's safe haven status yesterday lost points to the dollar, which investors seemed to regard as the less risky option as their optimism faded over the fate of the European banking system, causing equity and commodity markets to slump. At the end of the session, the precious metal hadn't quite been able to break below the 9 day moving average, but did lose $10 to rest at $1669.5. The bears are still in the stronger corner this morning though, as the gold CFD trading market is trading further down at $1662.5 testing that support. As the US dollar revelled in its safe haven status and equity markets weakened, crude oil was made to look more expensive and therefore was put under pressure. All of this action was caused by the German leaders calling for a realistic approach to solving Europe's debt troubles, which will take time and this is unfortunately something that is quickly running out. So as risk takers were nowhere to be seen, it seemed the few market participants involved in black gold were the ones banking their profits. At time of writing, the liquid stuff hasn't stopped sliding and is trading down at $109.21. With the shares markets strengthening and the greenback sliding, market participants appeared to be in the mood to snap up some deals on Friday and were drawn to gold, helping push its price higher in a session where risk takers were apparent. Whether it was the better than expected economic data from across the Atlantic that increased optimism as to whether a recession will be avoided or the strong physical demand from Asia that made the precious metal so attractive, one factor that definitely offered support was the increasing hopes the G20 finance ministers will find a solution to the euro area debt troubles. All in all, the yellow metal gained $15 to close at $1,680.5, which at time of writing, hasn't had much added to it, as gold is trading at $1,682.1. After viewing the US Department of Commerce's report, showing that retail sales grew 1.1 per cent last month, ahead of the 0.8% estimates, there was an indication that consumers are still mucking in on assisting boost the overall economy. Crude felt the benefit of these numbers straight away, as the demand for energy was thought to be staying strong and even the weaker than expected consumer sentiment numbers released later on were not enough to put a dampener on the market positivity. Currently, it looks as though the bulls haven't quite run out of steam, as Brent is trading around $112.93 with Financial Spreads.